Thanks to everyone who participated in Learn Do Share LONDON. See you next time! Learn Do Share is a FREE two-day event that will focus on how bringing together storytelling, design thinking and technology can lead to audience engagement and social innovation. 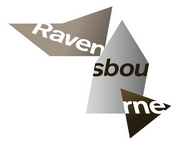 Learn Do Share is coming to the UK for the first time ever, hosted by Ravensbourne on 5th-6th September 2014. Participants will learn and play together in a collaborative and experimental environment. Our programme is structured into three main acts: Learn (keynotes and case studies), Do (workshops, labs and hacks) and Share (networking and collaboration). – Explore how storytelling can influence technology – and vice versa.